Shopping for Mickey Mouse Purses? Embrace the style of Disney's leading lady, Minnie Mouse! This faux-leather purse features a flap cover front, complete with Minnie Mouse themed patches of her polka-dot bow, yellow shoes, gloves, and more! 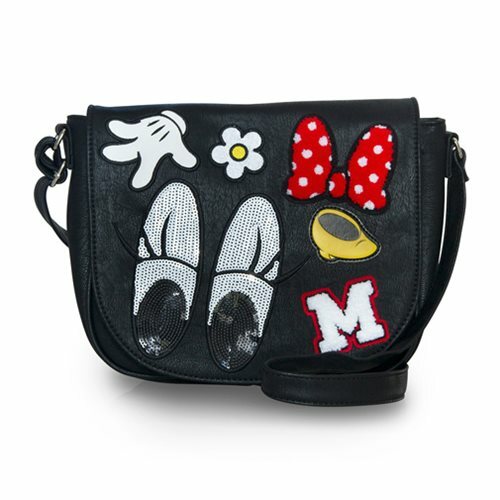 With sequence, chenille, and embroidered detailing, the Minnie Mouse Patches Black Crossbody Purse measures approximately 11-inches wide x 9 3/4-inches tall x 3 3/4-inches long.